…but of the local variety. Stephen Harper and the federal Conservative Party recently delivered a number of tax relief measures to Canadians. However, locally and provincially, it has yet to be seen if these other levels of government will rush to fill the gap and squeeze Canadians to fund their projects. 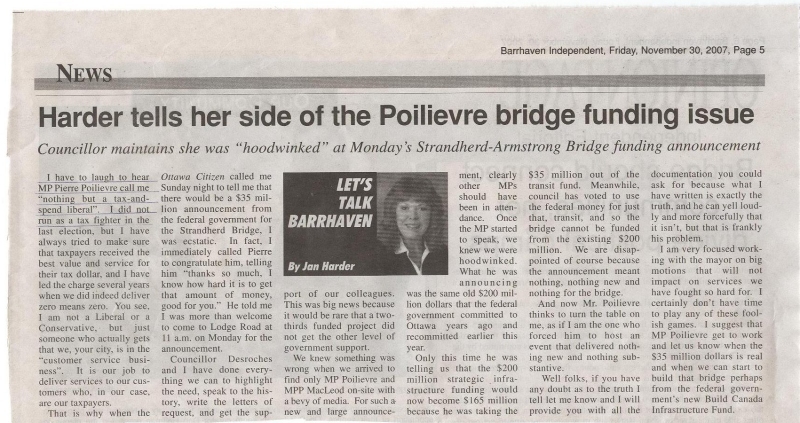 Local Ottawa city councillor Jan Harder for example is raising the alarm on the fact that the federal government isn’t providing the municipality of Ottawa with enough of your federal tax money to fund local infrastructure projects. 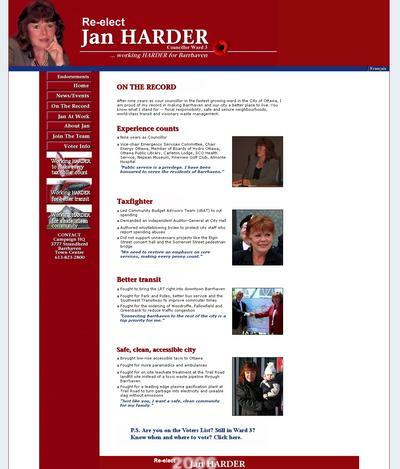 However, on her 2006 re-election website, in her “On The Record” section, she claims this very quality in big bold red letters. 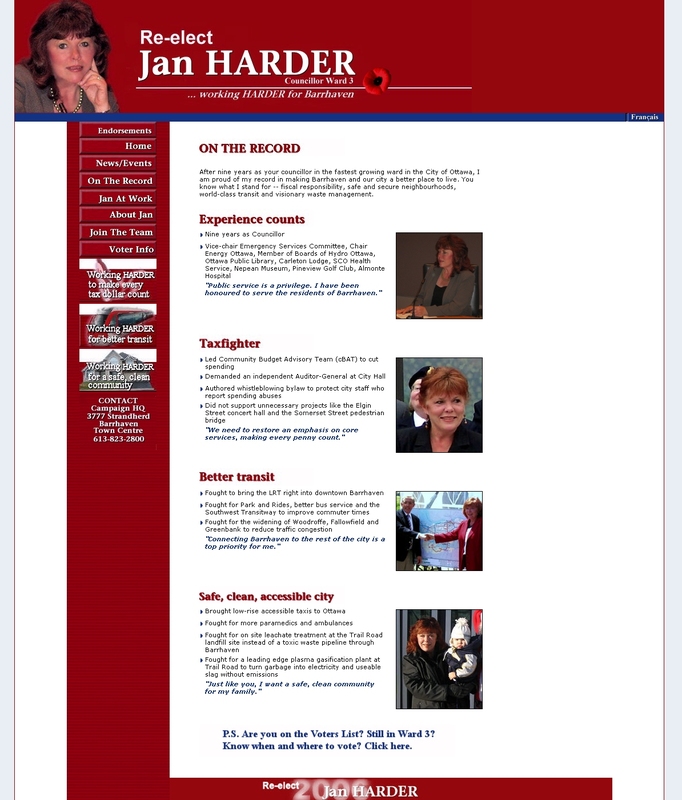 Her claim as a “Taxfighter” exists on her website to this day. 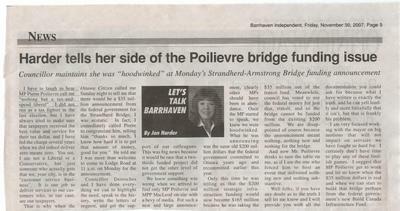 The big debate in Ottawa these days is the city budget and this councillor seems to sit on whichever side of the tax debate suits her at the given moment. UPDATE: Harder weighs in on city spending on services versus Mayor O’Brien’s “zero means zero” pledge in this recent CFRA interview. Unfortunately, it appears that spending and higher taxes will win out if Harder gets her way.